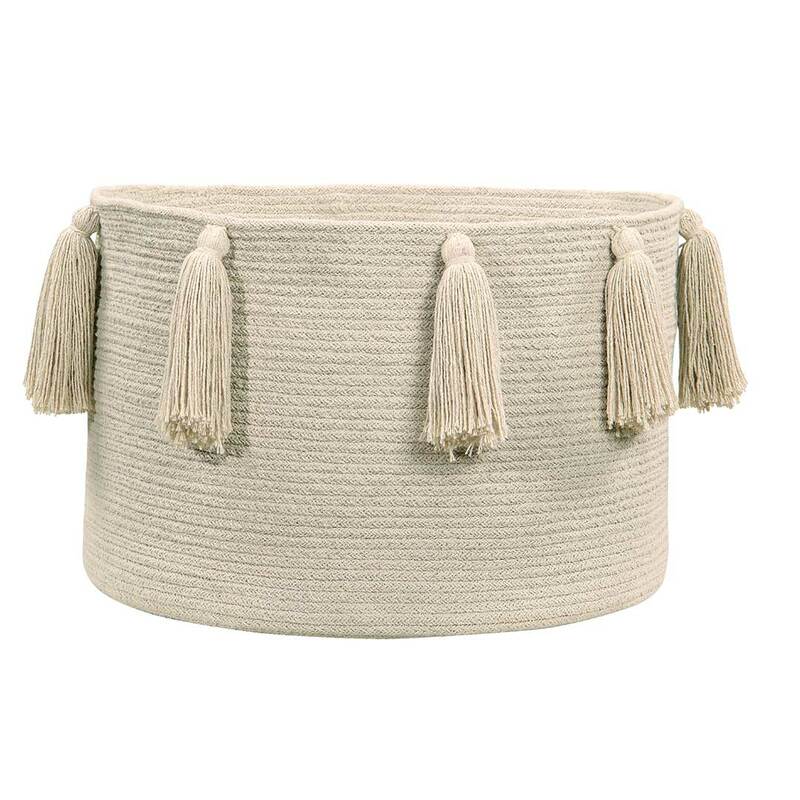 The Tassel Basket – Natural by Lorena Canals adds a casual and cheerful touch to your living area or kids bedroom with its unfussy design and jaunty tassels. 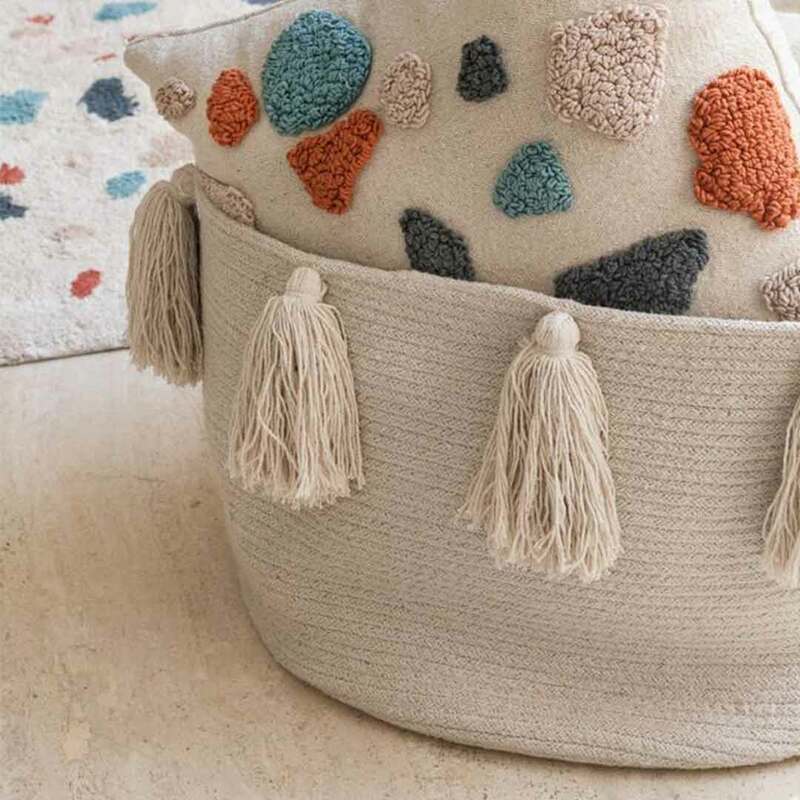 This basket is perfect for storage of soft toys, books, plants, blankets and other odds and ends. 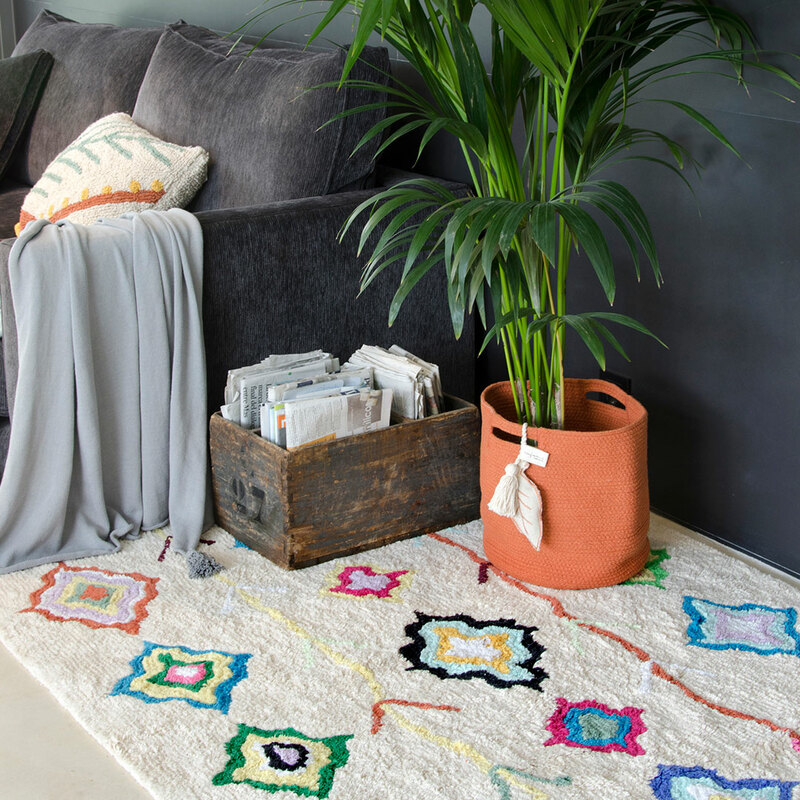 They look stunning as a feature on their own or to complement the Lorena Canals range of cotton rugs. 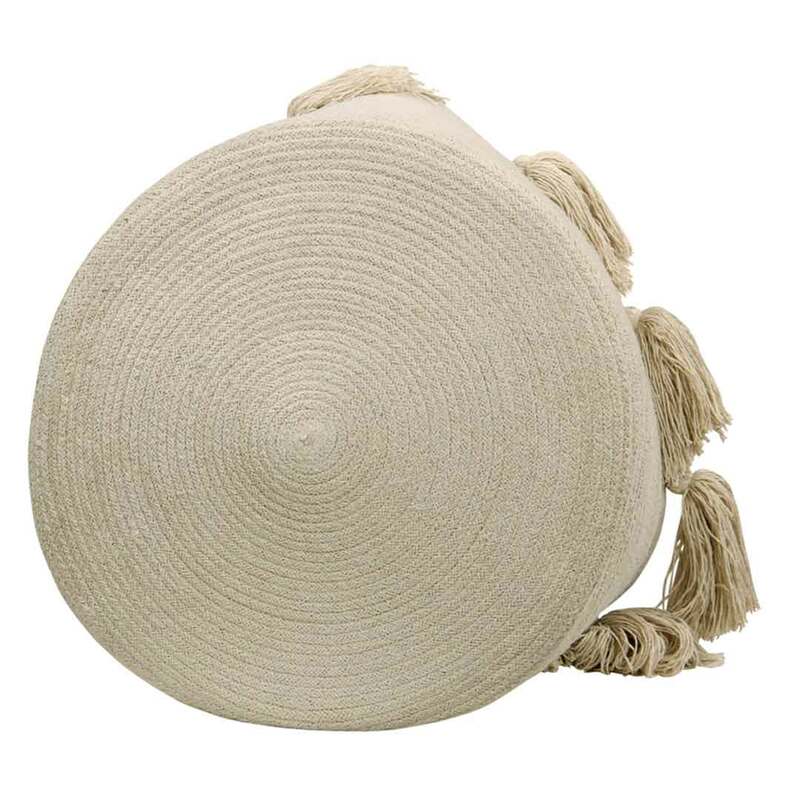 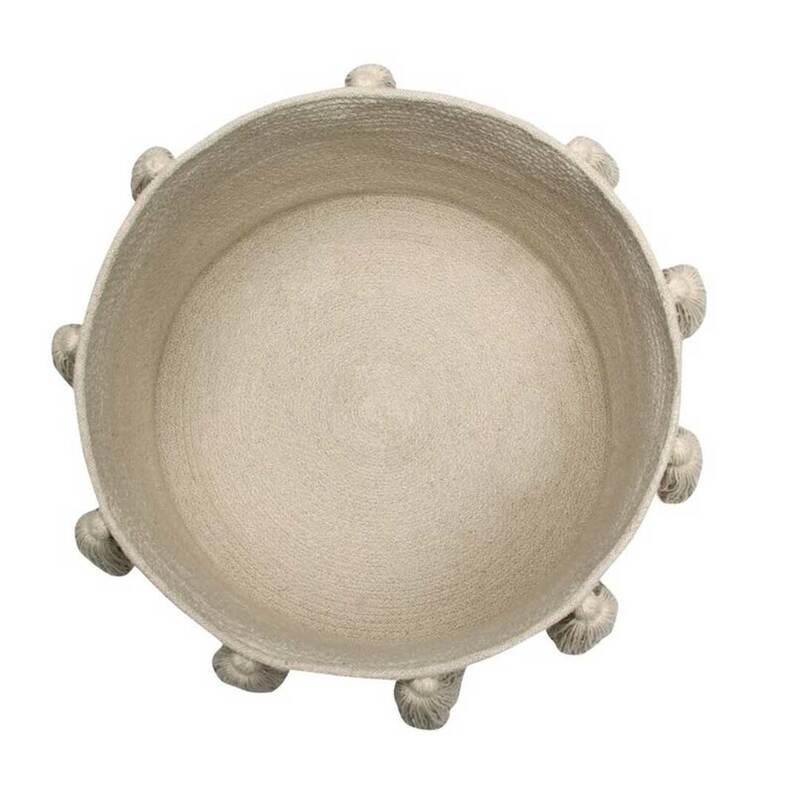 The 100% cotton basket is braided, lending it its circular shape, and hand-made by the Lorena Canals craftspeople.